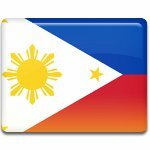 One of the public holidays in the Republic of the Philippines is National Heroes' Day. It honors all the country's heroes throughout its history. The holiday is celebrated on the last Monday in August to commemorate the beginning of the Philippine Revolution. On August 23, 1896, members of the Katipunan revolutionary society led by Andrés Bonifacio began a revolt against the Spanish colonial authorities. This event, known as the Cry of Pugad Lawin, sparked the Philippine Revolution. National Heroes' Day was officially established in 1931 to commemorate the heroes of the revolution who were not honored with their own holidays. In November 1995, the National Heroes Committee selected nine historical figures who made significant contributions to the nation as national heroes. They are Andres Bonifacio, Jose Rizal, Apolinario Mabini, Emilio Aguinaldo, Marcelo H. del Pilar, Juan Luna, Gabriela Silang, Melchora Aquino, and Sultan Dipatuan Kudarat. Despite the official least of made up by the Committee, National Heroes Day honors all the nation's heroes, both known and unknown. The holiday is marked with wreath-laying ceremonies, parades and small local firework displays. As it is a public holiday, it is a non-working day for most Filipinos.